Access to Family planning is essential to ensuring women and girls meet their full potential. When women and girls have access to family planning, they are able to complete their education, create or seize better economic opportunities, and achieve their own goals, and dreams. As a result, entire families, communities and nations benefit. BUT if the world is to meet the goal of 120 million additional women accessing family planning by 2020, European leadership and European funding is crucial. In the face of a changing political, economic and financial environment, the need for a continued progressive voice for Europe on Family planning and sexual and reproductive health has never been more critical. Governments must recognise the need to address the contraceptive funding gap and we call on increased financial support from donors and governments to meet the unmet need for family planning. We ask that governments acknowledge that civil society organisations at country level are key partners in service delivery and advocacy, as without them, we cannot reach rural and marginalised communities. In addition, the contraceptive needs for women and girls on the move is of paramount importance – especially for those impacted by conflict and humanitarian crises. 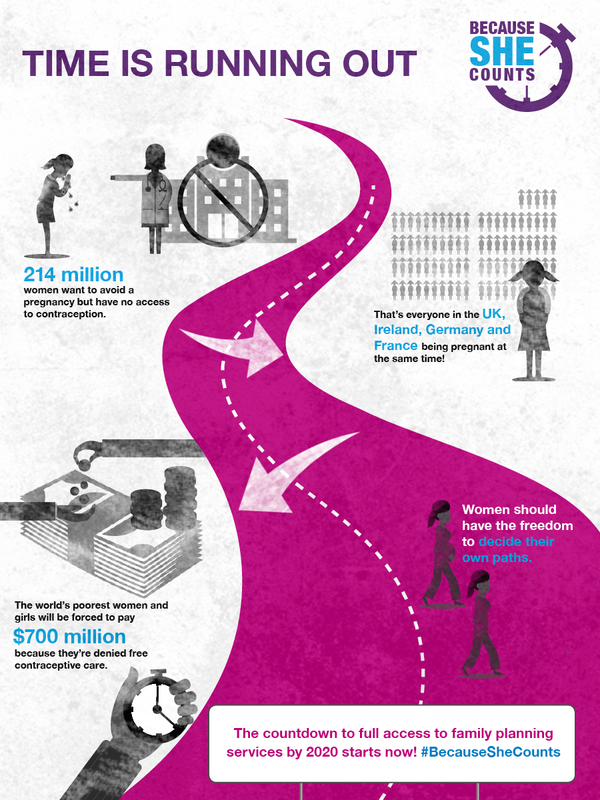 Investing in family planning is the only way women and girls can have the freedom to create their own futures. 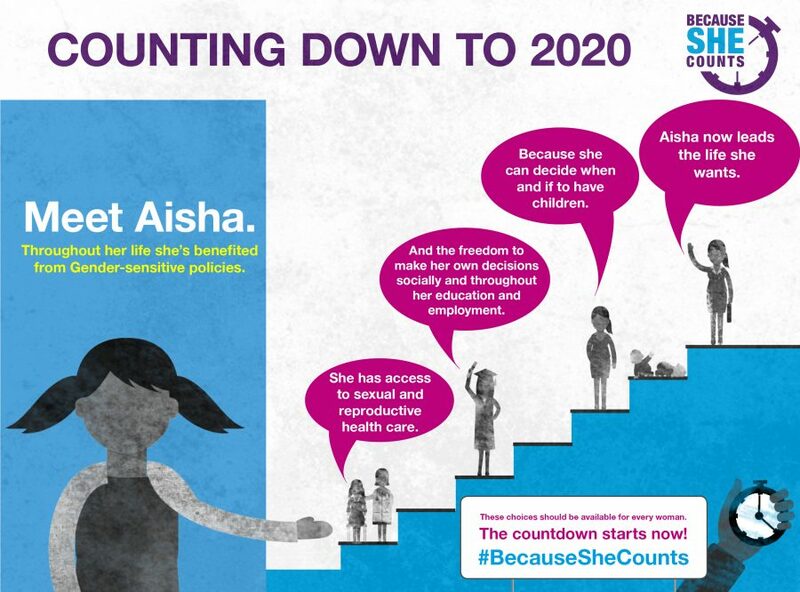 We are calling on governments and decision-makers everywhere to put women and girls at the top of the agenda #BecauseSheCounts!